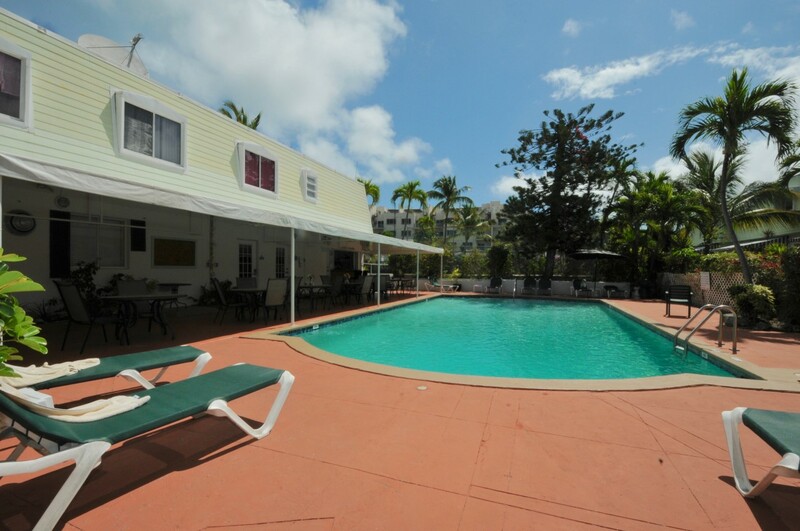 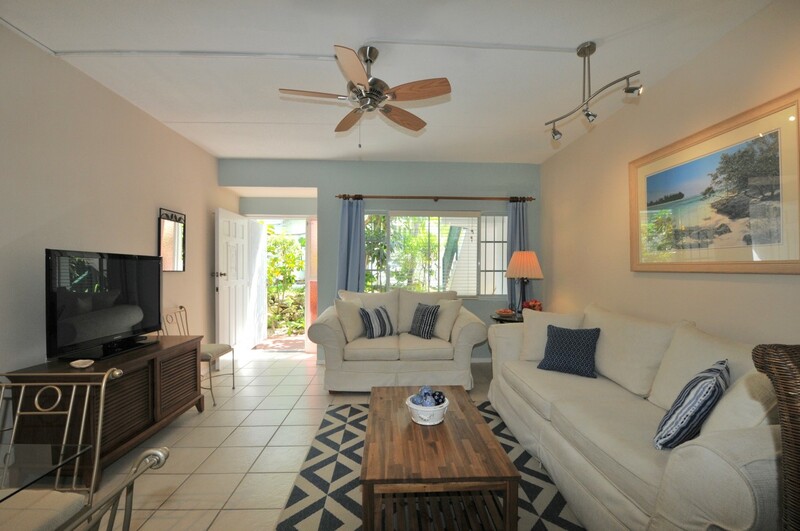 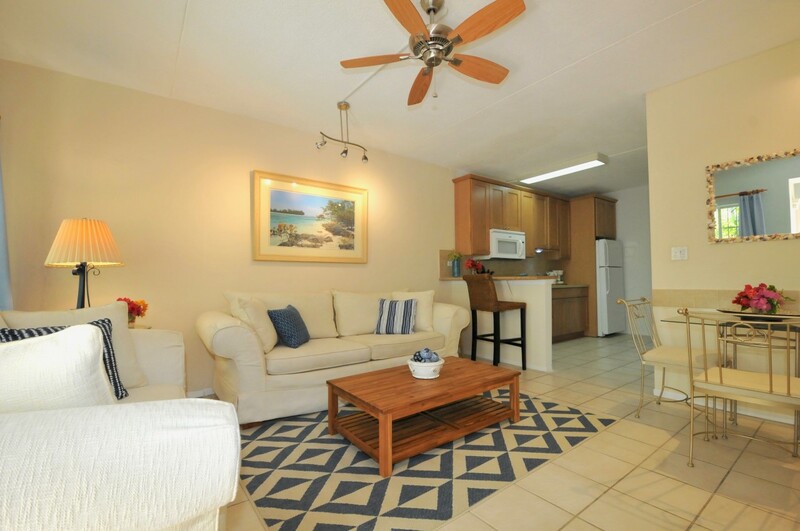 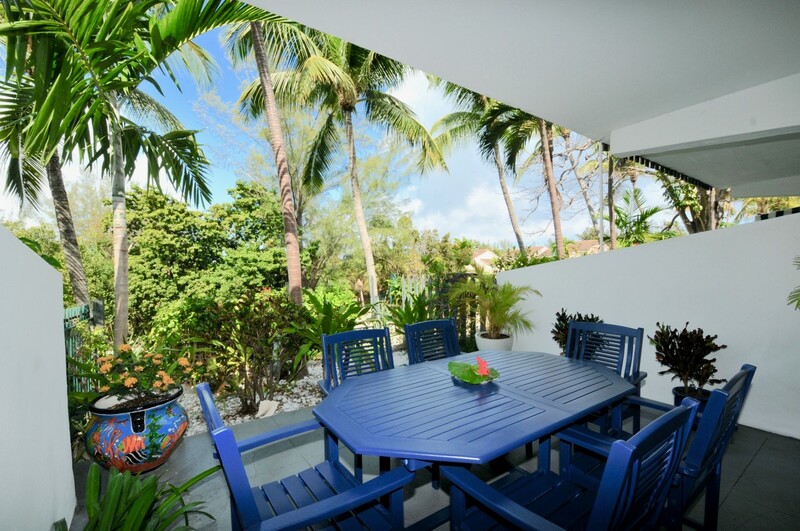 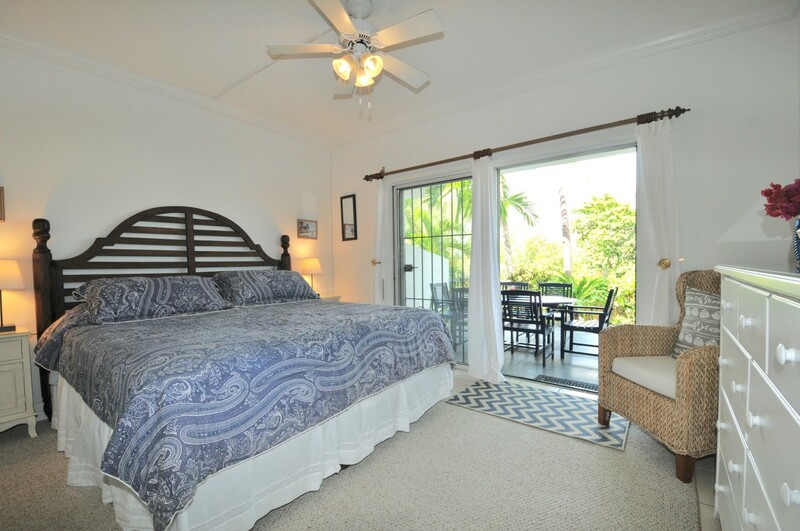 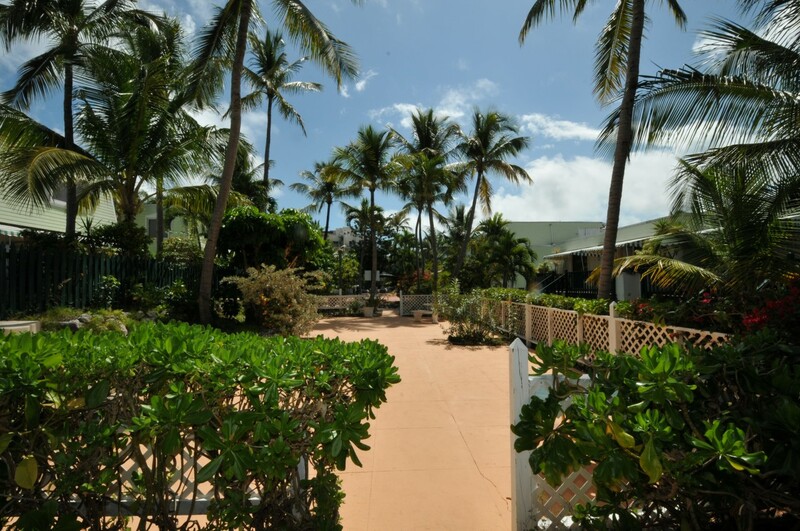 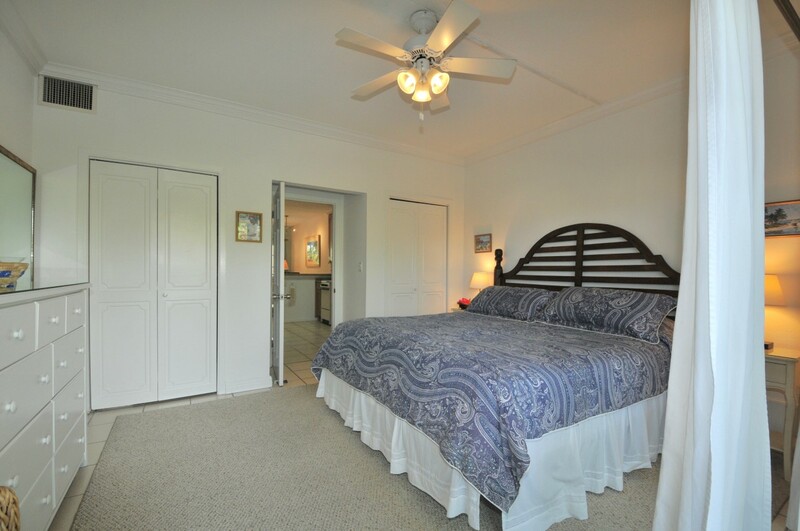 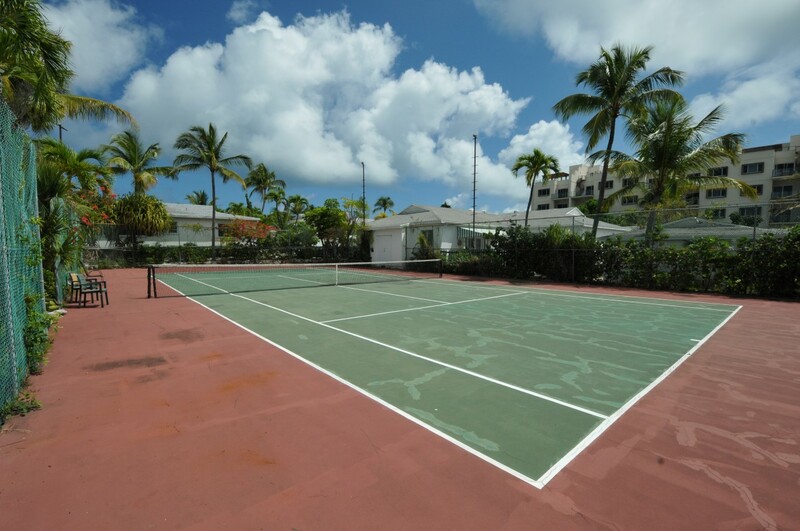 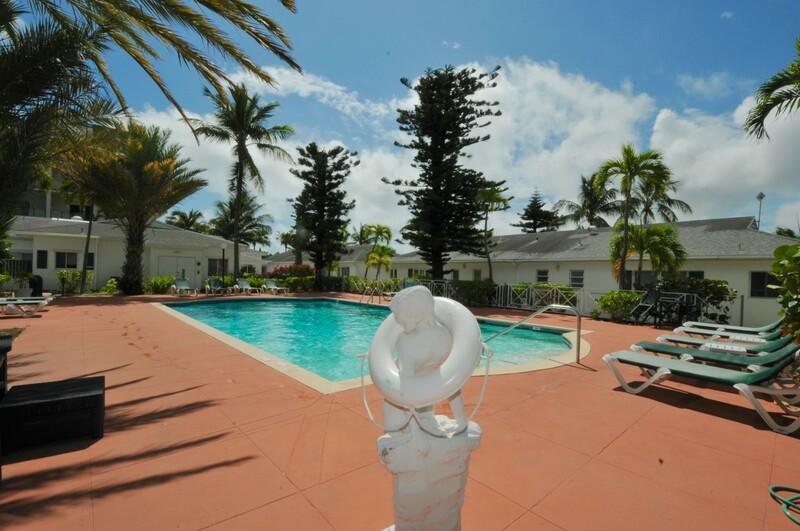 32B Bayview Villas is a beautifully furnished rental on Paradise Island located in a tranquil gated community. 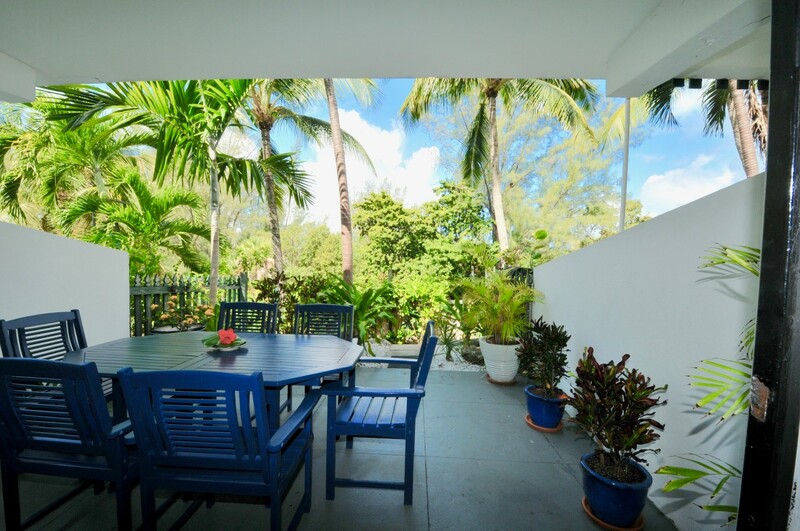 Bayview Villas features lush gardens, 3 swimming pools, tennis courts, a gym and a deli with a covered dining area & a small convenience store. 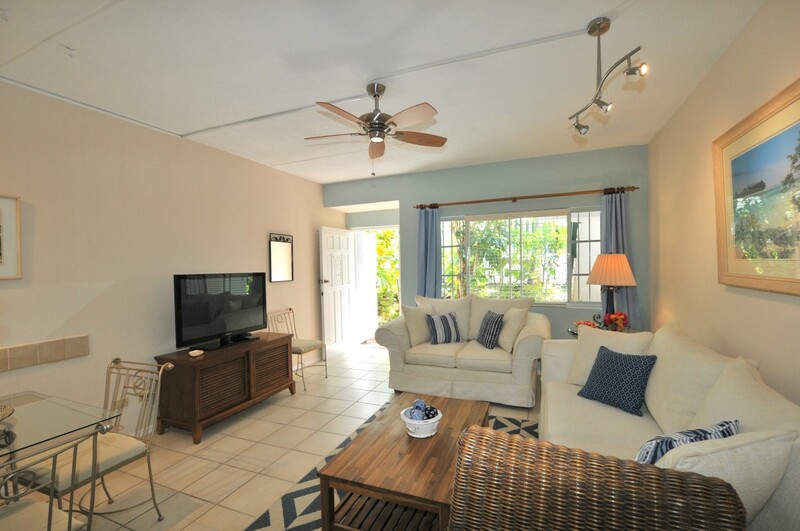 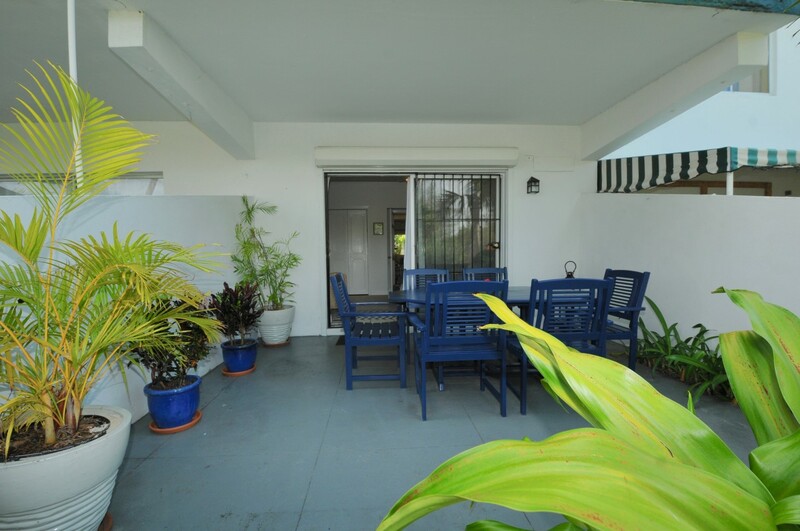 32B is located on the ground floor for easy access and its open floor plan is beautifully appointed. 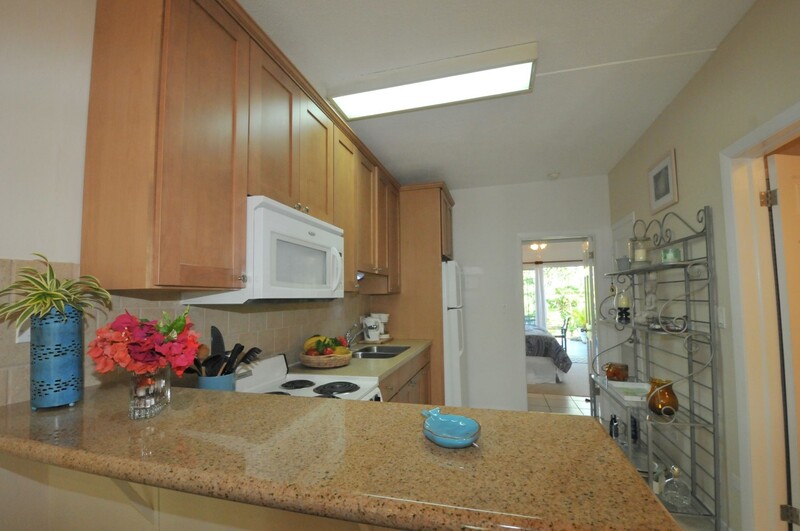 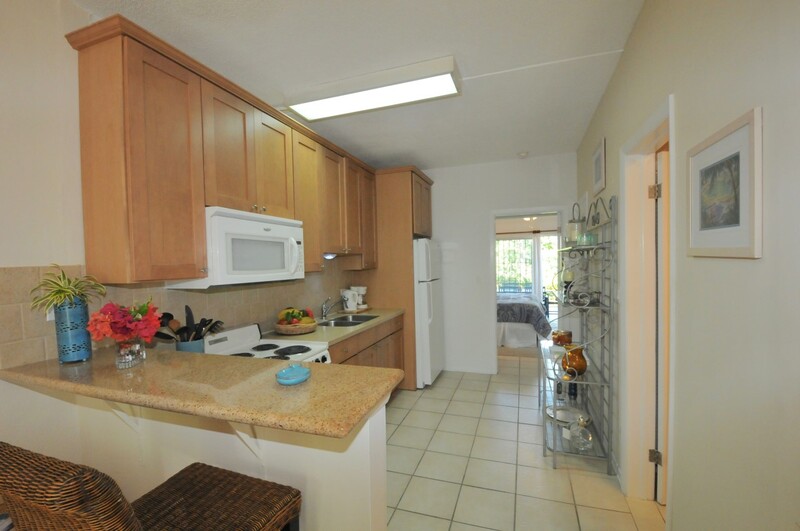 Fully furnished and rented turnkey, the apartment comes complete with linens and kitchen supplies. 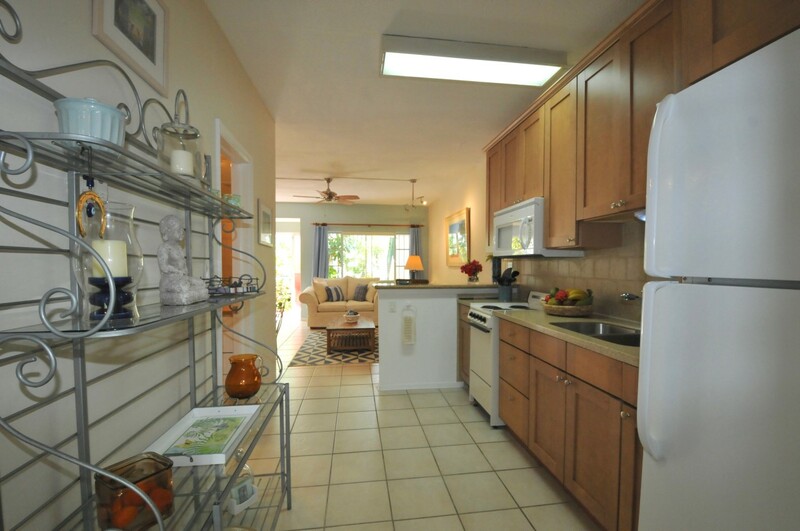 The open living/kitchen/dining area is spacious with lots of natural light & tasteful furnishings. 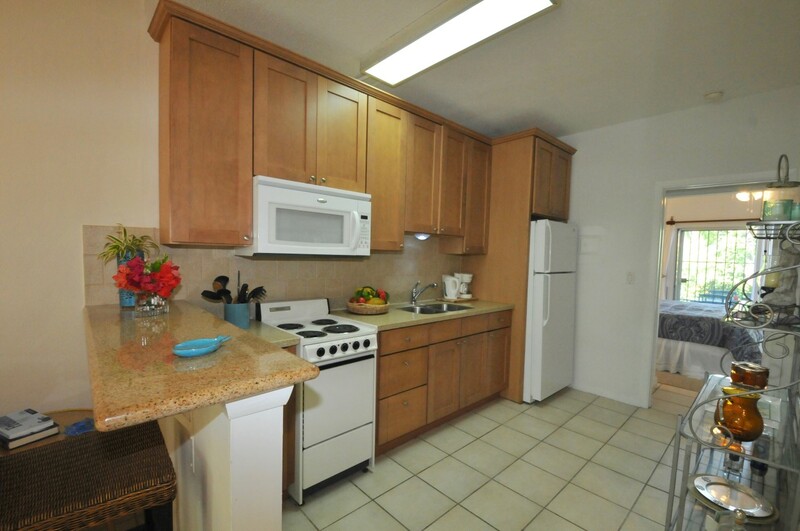 The kitchen features granite countertops, fridge, stove & ample storage. 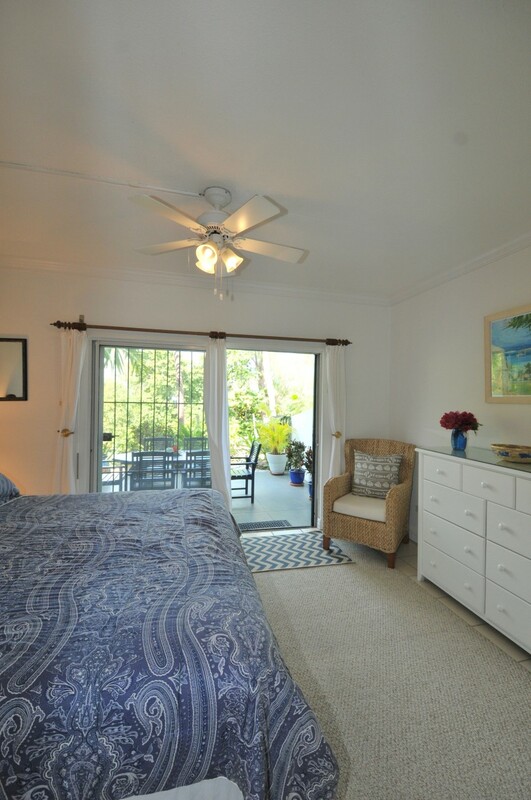 The bedroom opens onto a covered patio with an outdoor dining table for entertaining while overlooking a beautiful garden. 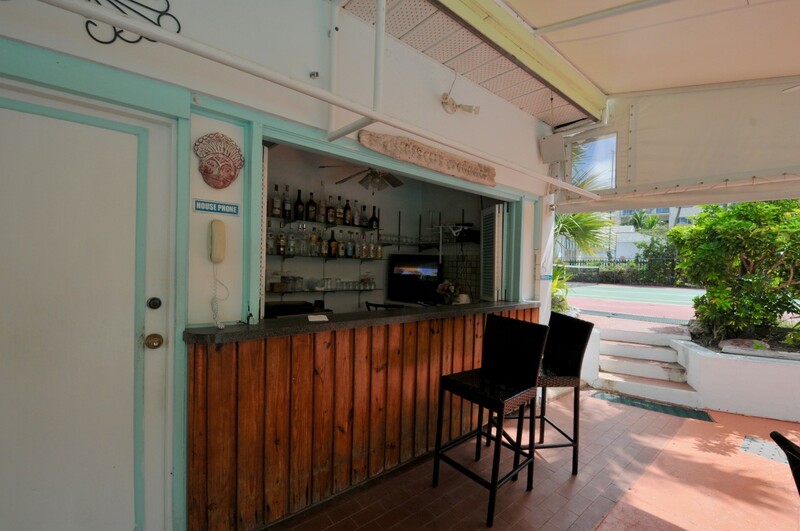 The 180' outdoor space is extremely private and is an ideal spot to watch the sun set.